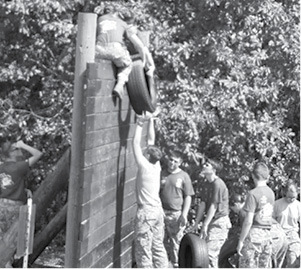 The Bulldog Battalion Raider Team competed in McMinnville, Tennessee on October 4, 2018. 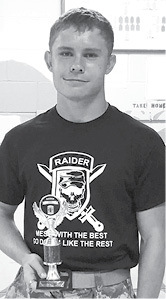 Clinton County placed third in the Litter Obstacle Course, third in the Physical Fitness and Harrison Wallace, shown above, placed third in the Individual Iron Man. 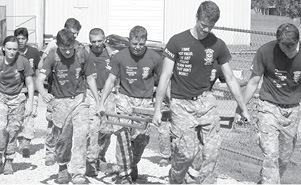 There were 16 teams that competed for a total of 160 cadets. The Bulldogs placed 4th Overall.